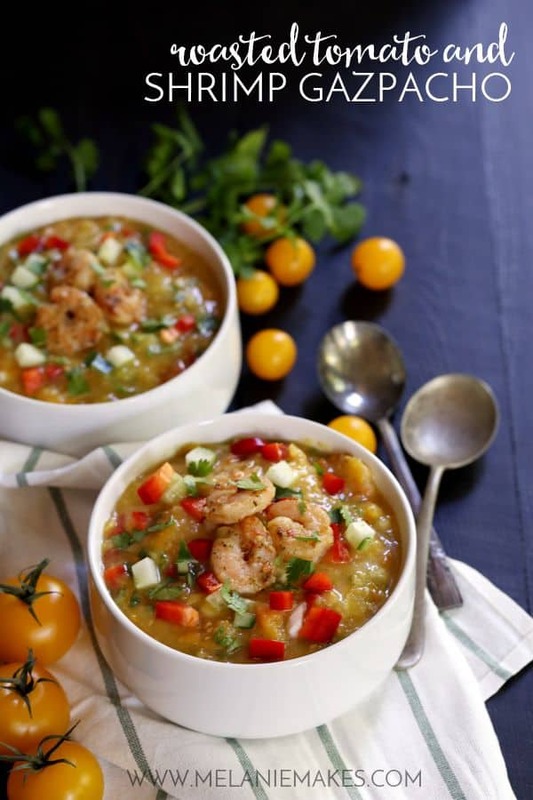 This seven ingredient Roasted Tomato and Shrimp Gazpacho is an easy make ahead meal. 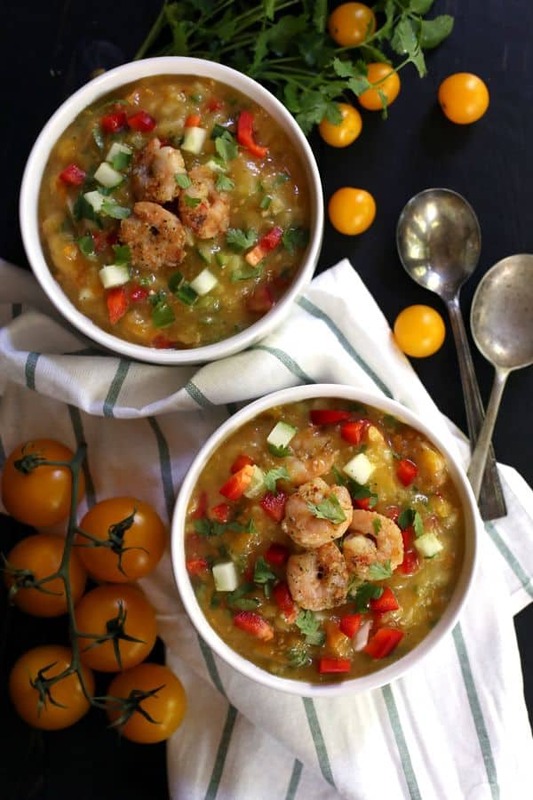 Roasted tomatoes, cucumber, red pepper, jalapeno, cilantro and garlic are stirred together with shrimp to create this flavorful warm weather soup. Right now, the last thing I want to think about is what we’re eating for lunch or dinner. We’re moving across the country in a week and a half and I’m more focused on how on earth I’m going to get everything packed up and ready for the movers. You know, with four children, a dog, a cat, a turtle and a goldfish needing my attention at the same time. Not so much the last two on that list. They’re quite low maintenance but of course I had to add them for dramatic effect. Instead, I just want to open my fridge and have a meal ready to simply pull out and enjoy. Enter my Roasted Tomato and Shrimp Gazpacho. I’ve been making this soup since Memorial Day weekend and have don’t have plans on stopping any time soon. I love that I can prep it all the night before after the menagerie is in bed and then simply put the finished dish in the fridge to hang out until I’m ready to dig in. It’s perfect as a main dish or even as a summer appetizer. It’s also an amazing way to clean out your refrigerator crisper drawer before heading out on your next trip to the farmer’s market or grocery store. 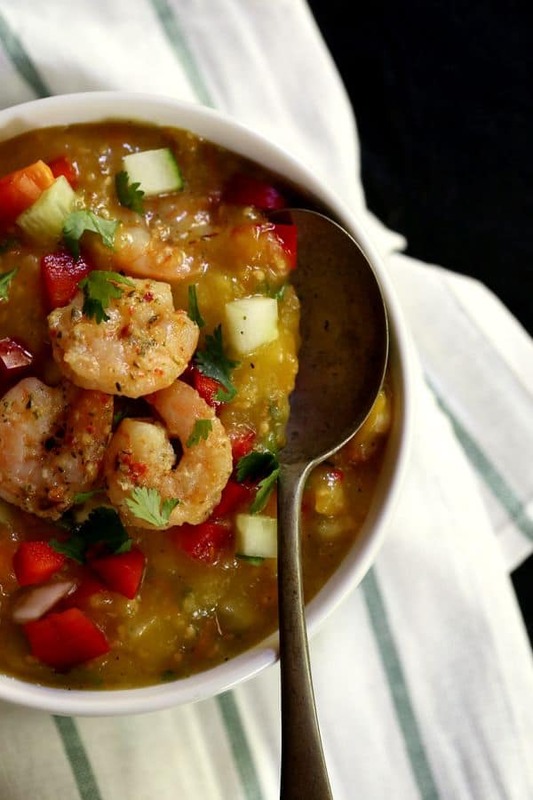 Roasted tomatoes, cucumber, red pepper, jalapeno, cilantro and garlic are stirred together with shrimp to create this flavorful warm weather soup. And the shrimp? 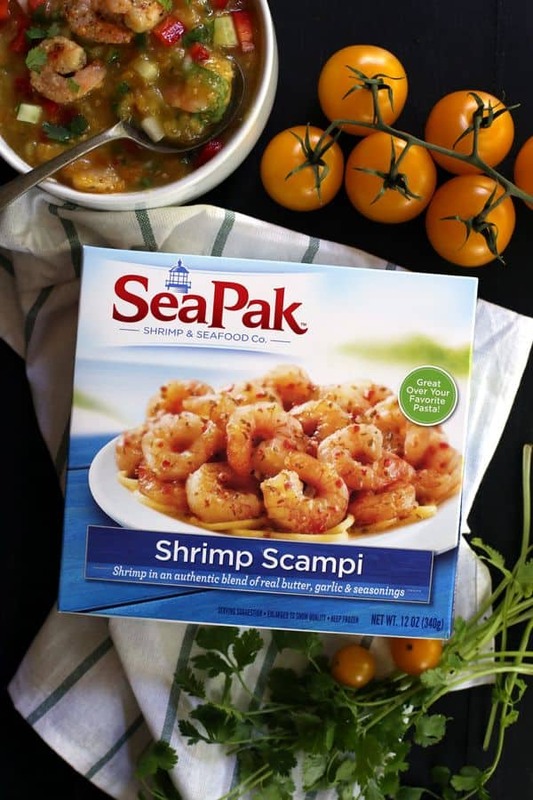 Look no further than your grocer’s freezer section for Shrimp Scampi from SeaPak. 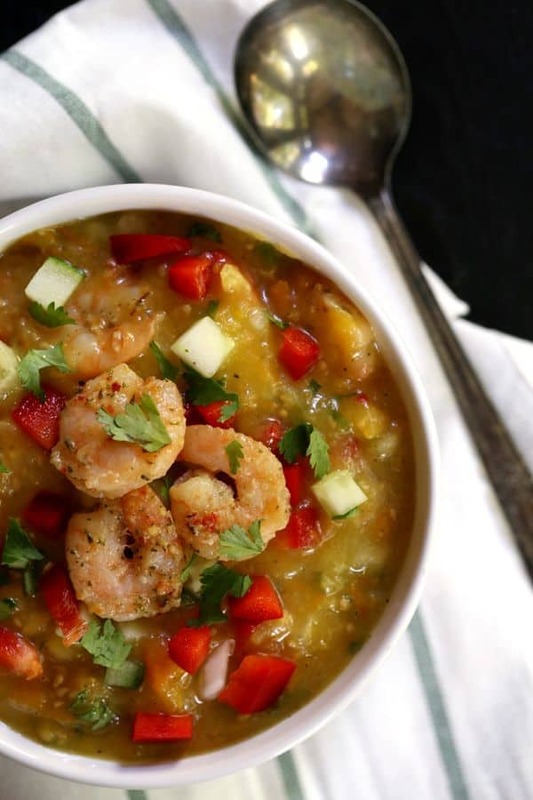 It’s the perfect shortcut for this seven ingredient soup as the shrimp are already in a flavorful blend of butter, garlic and typical scampi seasonings. The shrimp cook at the same temperature as the same temperature as the tomatoes so your oven can do double duty, meaning you’re out of the kitchen and back to packing boxes – or whatever fun thing you happen to be doing while I’m packing boxes! Place tomatoes on a baking pan and drizzle with olive oil. Season with salt and pepper and toss to coat. Bake for 15-20 minutes or until the tomatoes begin to brown and their skins begin to pop. Arrange shrimp in a single layer on baking sheet. Bake for 8-12 minutes or until shrimp are cooked through and are opaque. Allow to cool. In the bowl of a food processor, pulse tomatoes to desired consistency. Pour tomatoes into large bowl. Add cooled shrimp and all other ingredients and stir together to combine. Refrigerate overnight to allow flavors to combine. Serve in bowls topped with additional chopped cilantro, if desired. opaque white inside. So if you need me, you’ll find me in a sea of my own belongings and surrounded by mountains of cardboard boxes. Only stopping the never ending packing process to enjoy an easy meal thanks to my Roasted Tomato and Shrimp Gazpacho. 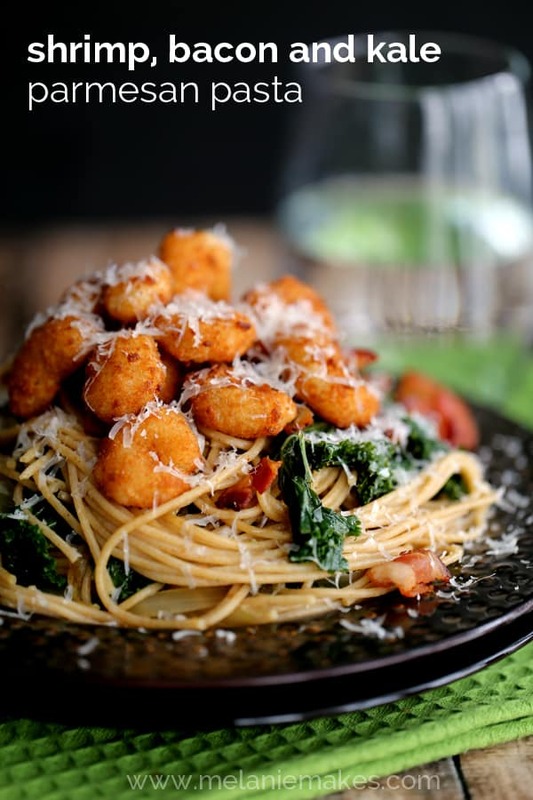 Looking for other great shrimp recipes? I was compensated by SeaPak to create a recipe featuring their product. As always, all thoughts and opinions are my own. Thank you for supporting this sponsor that allows me the opportunity to create content, such as this, for Melanie Makes. I LOVE that you used all those fresh summer tomatoes and shrimp. LOVE them all! This soup looks like it is bursting with flavor. Love it! Mission accomplished then, Sandi - thank you! 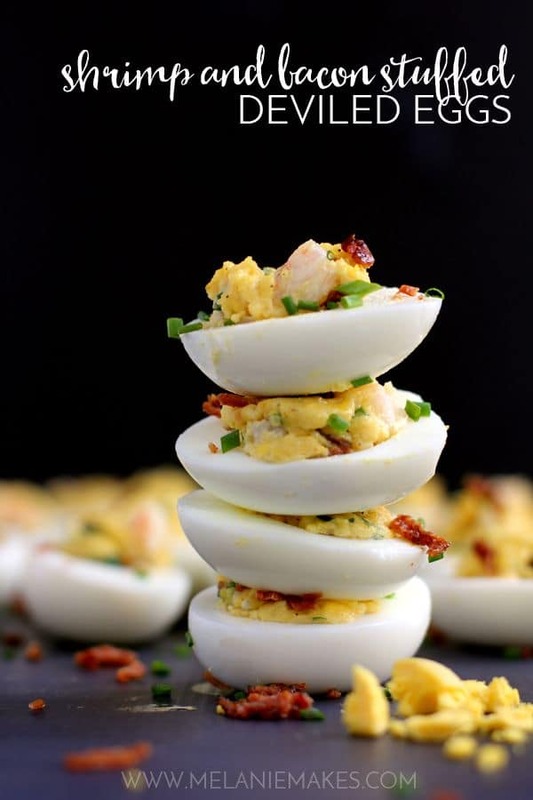 I'm thinking this looks like a delicious and EASY appetizer for summer! That is the perfect summer soup! I am looking forward to fresh summer tomatoes and this is a great way to enjoy them! I reallllllly love the colors in this gazpacho!! 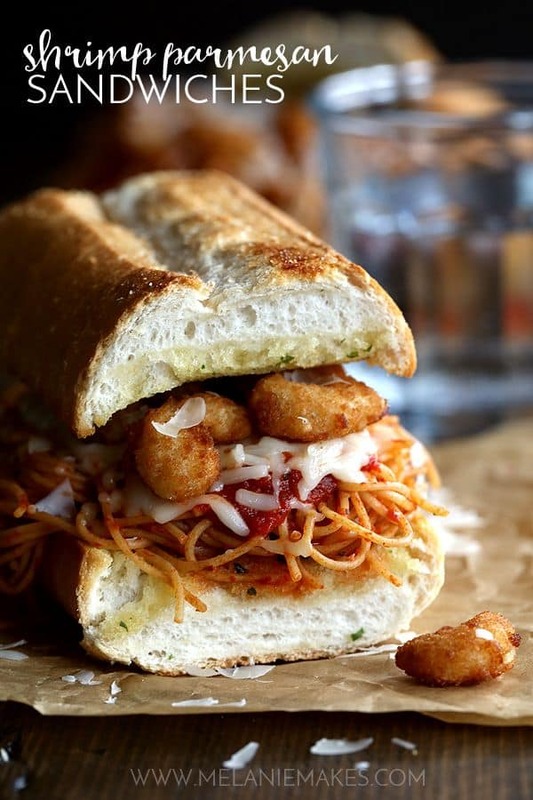 I cannot believe you are still whipping out awesome recipes like this one when you are moving across the country! So refreshing for the summer! Good lord how are you staying on top of everything right now?? I am completely impressed. Hope you are moving somewhere fabulous!